Book are usually a hit or miss on my Goodwill trips, but I found this great 1977 publication of amazing photos from all over the state. Perhaps my favorite find. Love, love, love this vintage shirt! Vintage vase in perfect condition. It's circa 1950s, my grandmother owned a blue version. Love these! Someone had donated an entire basket from Germany, Mexico, Holland and the islands. Between my mom & I we bought almost all of them. I was finally able to get back home for a few days last week, which of course meant lots of thrifting. I'm always surprised that the finds tend to be better in north Georgia than in Savannah. I picked up this vintage silk jacket, s few vintage dolls and a great vase circa 1950s- I'll post those shortly. 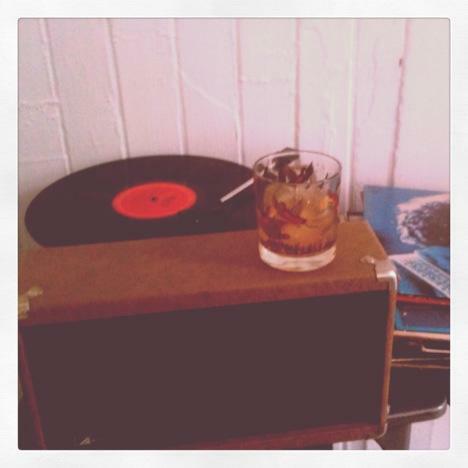 Liquor & vinyl. Memorial Day success.